Dolly Parton spent Thursday at Vanderbilt's Children's Hospital to celebrate a deeply personal milestone. Her niece, Hannah Dennison, turns 30-years-old on Sunday - a birthday Parton wasn't always sure she'd be able to celebrate. Dolly Parton spent Thursday at Vanderbilt's Children's Hospital to celebrate a deeply personal milestone. Her niece, Hannah Dennison, turns 30 years old on Sunday — a birthday Parton wasn't always sure she'd be able to celebrate. 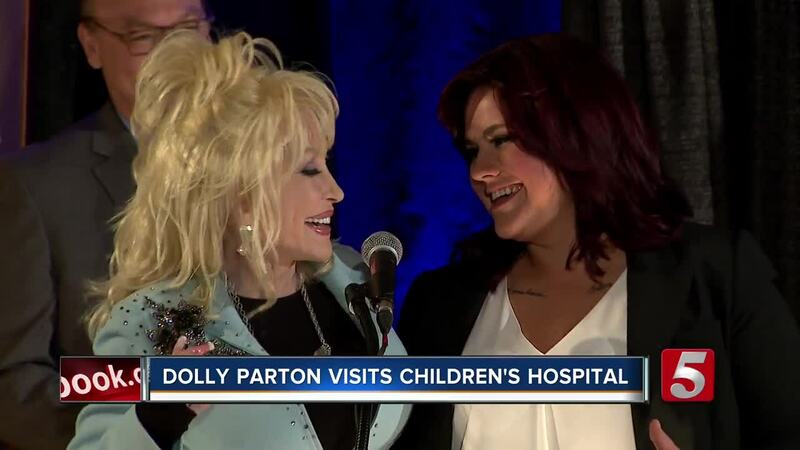 "Twenty-six years ago is when Hannah was diagnosed with leukemia, and for five years we didn't know if we'd be keeping her or not," Parton told a room full of doctors, nurses, patients and families. "But Hannah now stands here as our chemo hero. She shows that miracles do happen with good care, great doctors and great nurses." Parton met some of those doctors and nurses last fall when she visited the hospital to release her first-ever children's album . During that visit, she decided to donate $1 million to the hospital. "They took such good care of her and just looking at the little faces of the kids going through this and the parents who suffer so much as well; it's just touching and moving," she said. "If you're in a position where you can do something, you should do something." In return, the Children's Hospital dedicated it's second floor butterfly garden to Dennison on Thursday. "Now that we have Hannah's butterfly garden, we may come up and do little shows now and then and bring some joy to the kids," Parton said. "Or just come up and say, 'Hey, I got my guitar, want to sing some songs?' Bring a few smiles to the kids faces."